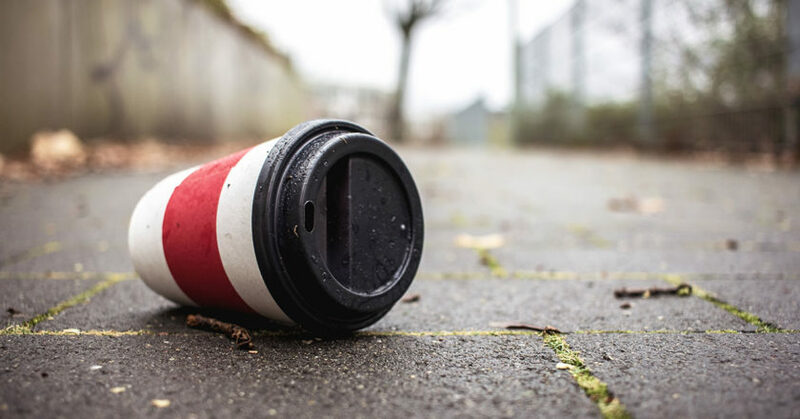 The Western Australian and Australian Capital Territory Governments have released discussion papers on proposed single-use plastic bans – including plastic-lined coffee cups – on 11 and 16 April, respectively. WA Environment Minister Stephen Dawson invites the community to contribute their ideas and participate in the consultation process. “The McGowan Government wants to do more to reduce the impacts of single-use plastics on our precious environment and we will do this in consultation with the community,” Stephen says. The Let’s not draw the short straw – reduce single-use plastics issues paper and its associated online survey will guide the next step in the WA’s war on plastic waste. Last year, the WA Government banned lightweight plastic bags and instructed government agencies to stop buying avoidable single-use plastic items such as plastic cups, straws and cutlery. The ACT’s discussion paper comes after City Services Minister Chris Steel first proposed a ban in February. “Our society can no longer throw away responsibility for the plastics littering our environment,” Chris says. “Single-use plastic litters our waterways, city parks and bush landscapes and goes into landfill where it may take hundreds or even thousands of years to break down. The European Parliament last year voted to ban single-use plastics in the EU by 2021. Similarly, South Australia and the City of Hobart are also looking at phasing out single-use plastics. “It is time that the ACT takes responsible action to reduce single-use plastics and build a circular economy, where we reduce our reliance on these products and move to better alternatives,” Chris says. While the ACT banned single-use plastic shopping bags in 2011, Chris says the territory has an opportunity to do more to reduce our plastic footprint. “We want to hear from the community about how we can reduce the use of certain single-use plastics where there are clear alternatives that are good for the environment and practical for business, industry and consumers,” he says. Chris says that any decisions to phase-out single use plastics are likely to have impacts on business, institutions and ACT residents, including people with a disability, and invites these groups to contribute to the discussion. “We know from plastic straw bans from other parts of the world that we need to consider the social equity impact on people with a disability and I welcome their contribution on how we can responsibly manage our environment while taking these issues into account,” he says.